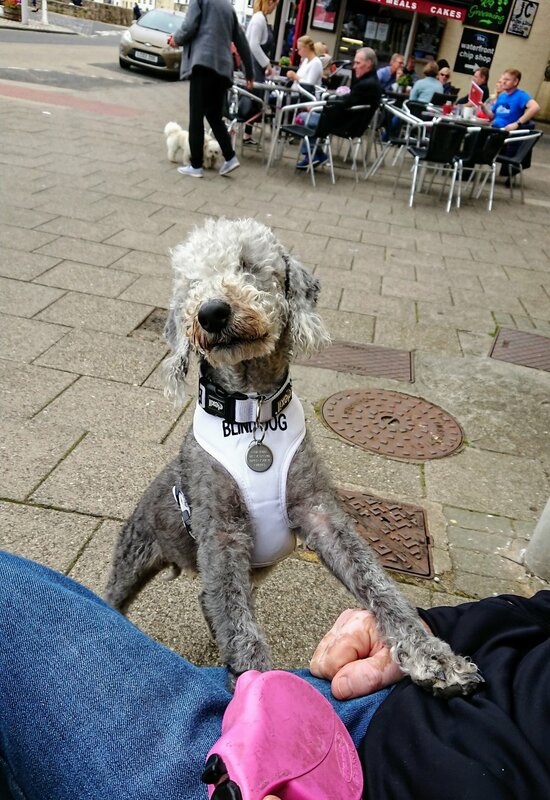 Thought you’d like to meet Maxi – who along with mum Jane McAllister is enjoying his first ever 1000-mile year. 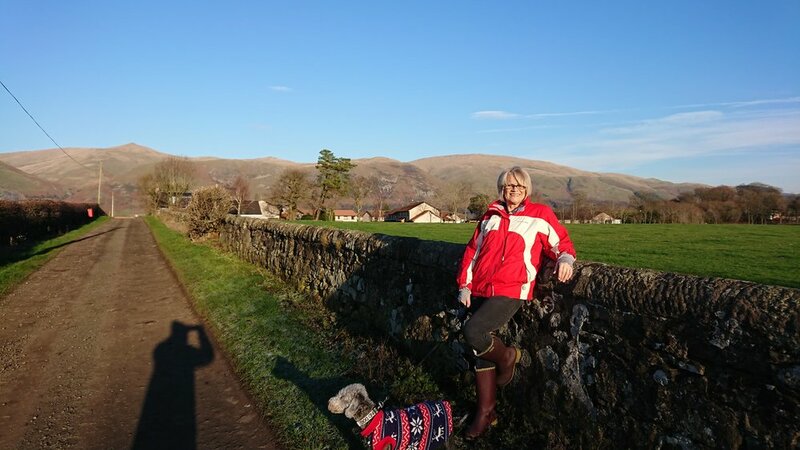 They live in Clackmannanshire in a village overlooking the beautiful Ochil Hills, and after a year of being ill #walk1000miles is the perfect way to get back up to full strength says Jane: “We are so enjoying it”. Many of their early miles have amid stunning conditions – scenes made all the more poignant when you realise Maxi is completely blind. 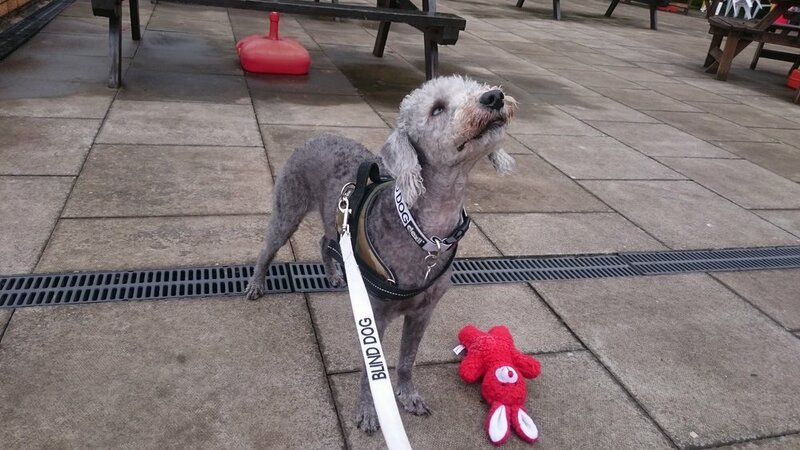 Says Jane: “We got Max from a rescue place in Newcastle when he was eight months old. He’s is now around six – he didn't come with a birthday so it's on the same day as mine. He was born blind. 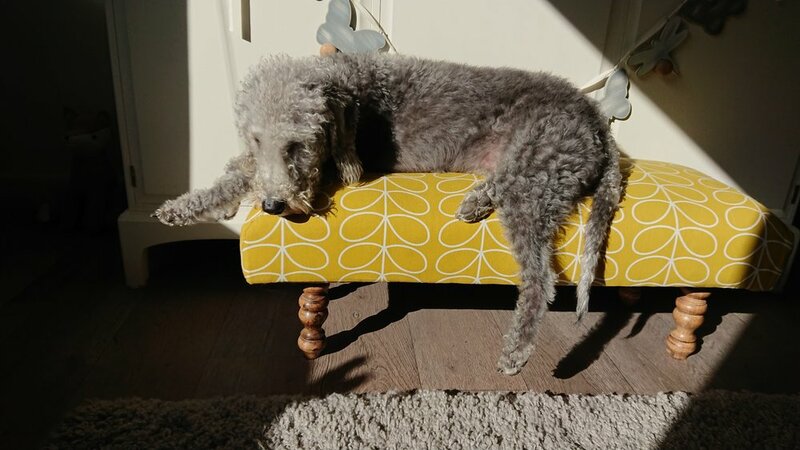 We already had a Bedlington terrier and wanted a companion for her. He is amazing. Loves to get out and play and go on walks. “He must be the leader! 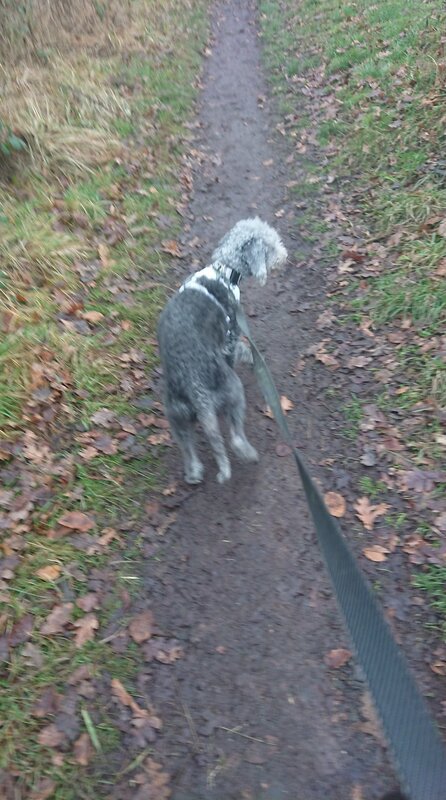 He can tell when he's on the right track by the texture of the ground, be it grass, tarmac, gravel and so on. His smell and hearing are amplified by the lack of sight. We had to educate ourselves on how to treat a dog with special needs but he manages great. Good luck in your 1000 miles Jane, and you set us a great example Maxi – making the most of what you’ve got and bringing happiness wherever you go!